Small (6-12 months) - $29.99 Only 8 left! Medium (18-24 months) - $29.99 Only 4 left! Large (2T-4T) - $29.99 Only 2 left! My 3 year old son looked absolutely adorable and scary at the same time. He had a blast being a tiger running from house to house! This was his first Halloween, learning how to do things from the older kids. We had lots of fun this year! My first year buying a costume, I will do this again! Ordered the 18-24 months size for my 18 month old daughter. The costume is nice but it was large enough to fit a 6 YEAR OLD child!!! We were all very disappointed, to say the least. Complained to the company and they issued me a full refund straight away. 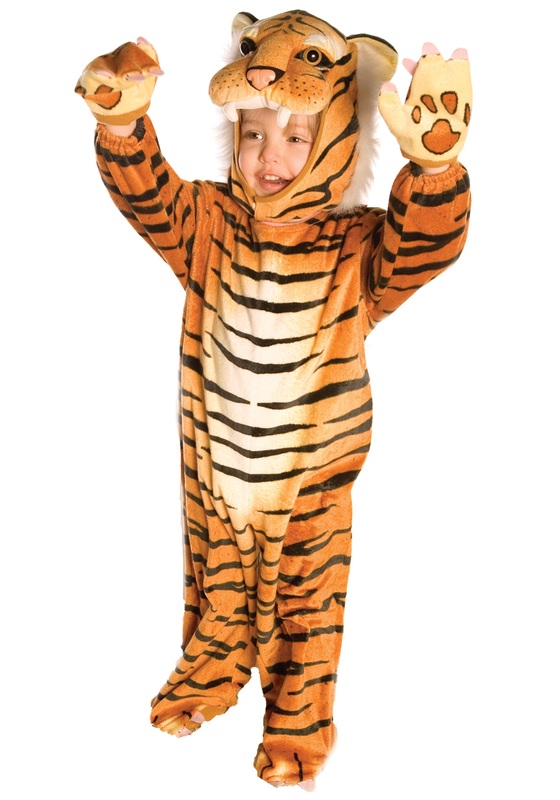 I'm pleased with the customer service but the sizing of this costume is ridiculous and needs to be updated ASAP. Ordered the M (18-24 months) for my two year old, and it’s so big it fits my 6 year old. Wasted money on expedited shipping and have no costume for my son. This site’s sizing is inconsistent and inaccurate. My daughter’s costume also fit poorly, even though I used measurements as a guideline. My son is three and is in 4t clothes and based on the review I ordered the xl. It’s a little big which will be great for layering as our Halloween’s are typically fairly cold. He absolutely loves it and quality was fantastic! Very satisfied customers! ordred size 3 for my 2.5 years old son, was so big i seriously can wear it my self! orderd again 2 size smalles 18-24 and its huge! the label says M by the way and not 18-24. dont buy it for your infants, its so not true to size! i had to pay 2 express deliverys for nothing!! !